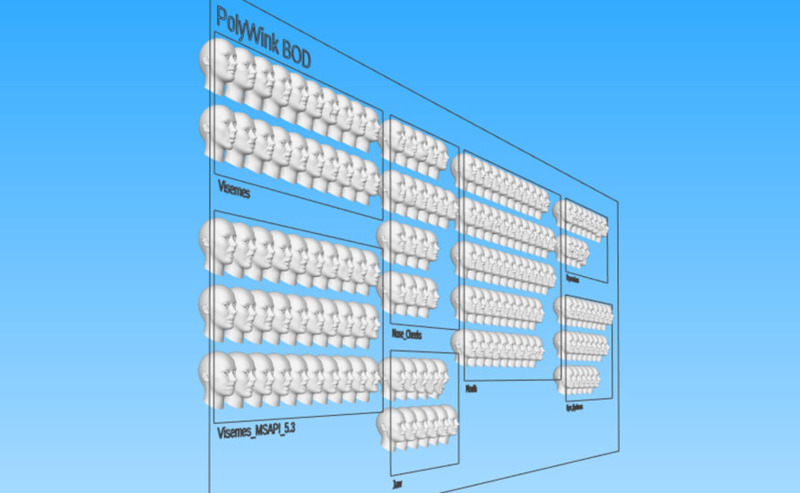 Polywink is an online platform created to automate the most time-consuming and expensive aspects of facial animation. 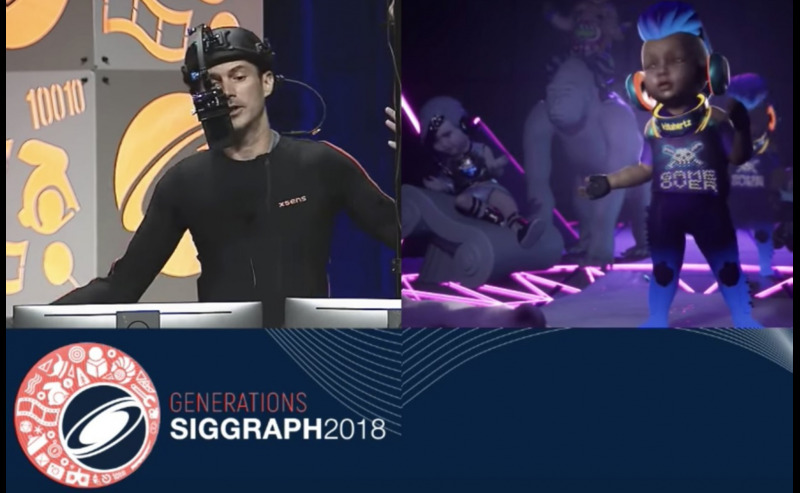 Thanks to our in-house procedural technology and through years of accumulated data powered by machine learning, we are able to complete in mere hours steps that would otherwise take weeks to achieve: from blendshapes generation to automatic facial rigging solutions, we provide everything you need to bring your characters to life. Thanks to Polywink, forget about long and repetitive tasks like blend shapes creation. Our 24h delivery process allows anyone to receive a FACS facial rig of professional quality in a single day, drastically speeding up any 3D animation pipeline. No manual work and no auto-rigging or 3D modeling tools are needed! 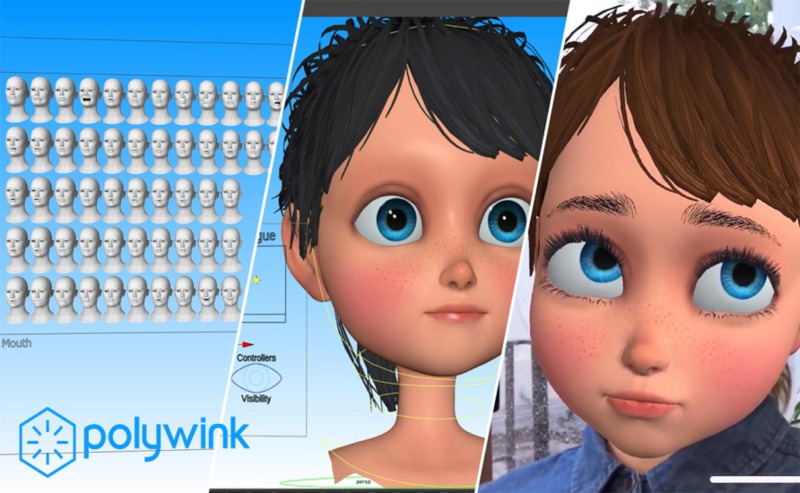 Polywink's automatic blend shapes generator and automatic face rigging solutions enable us to deliver your 3D characters in less than 24 hours. A great answer to tight deadlines and an ideal way to simplify your workflow! Thanks to Polywink, save thousands of dollars per project and weeks of manual work by receiving your FACS facial rig of professional quality overnight. Our platform is also ideal for small teams lacking a rigging expertise or large volumes of 3D characters! Our services suit everyone, from indies to video game, VR or 3D animation studios, and for any type of character from cartoon monsters to photorealistic human models and head scans. And if you have any doubts, don't hestitate to contact us first! 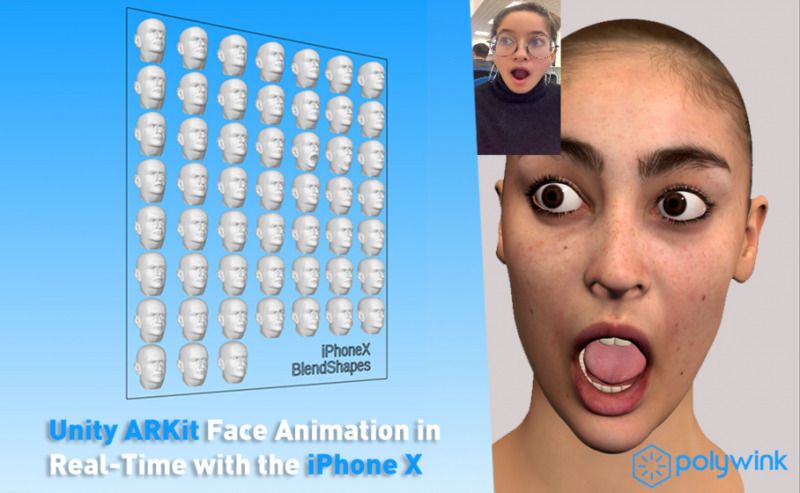 "Polywink has been a huge blessing and frankly the key to the high quality of our characters facial animation. It cut out the draining, costly and time consuming segment of building a quality rig and it happened overnight!" "At first glance, it seemed like Polywink’s automated blendshapes couldn't compare with hand-crafted blendshapes. We were wrong. Polywink has surpassed our expectations time and time again by delivering high quality blendshapes with lightning speed!"